Beware college! That’s the old cry today’s conservative intellectuals are pretending they invented. But they don’t mean it. The best evidence for conservatives’ real affection for American higher ed is the political campaign we haven’t seen recently. the balance has been tipped in higher education. It’s not just useless anymore, but it’s now actually doing harm. Not many normal people will be willing to accept that reality — i.e. that their children (and our culture) will be better served by their NOT going to (most) colleges and universities. Tough talk! 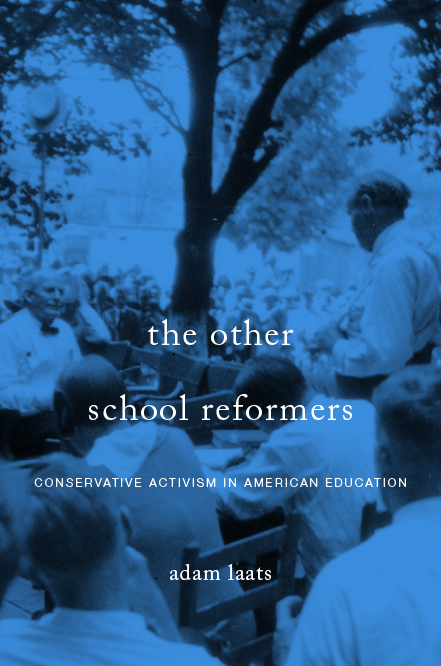 We might be tempted to conclude that conservative intellectuals are moving toward a new antipathy toward higher education, but we’d be wrong in two big ways. For one thing, there is absolutely nothing new about this conservative “crisis” in higher education. Furthermore, conservatives don’t really dislike college as a whole. Let’s start with the history. As I argued in Fundamentalist U, conservatives have been noticing the “new” crisis in American higher education for well over a century. In a three-part expose in 1909, journalist Harold Bolce warned readers of the absolutely shocking decline in the state of America’s elite colleges. My soul is a starving skeleton; my heart a petrified rock; my mind is poisoned and fickle as the wind, and my faith is as unstable as water . . . . I wish that I had never seen a college. We might remind Dreher and his correspondents, then, that their sudden crisis has been percolating for a long time now. But perhaps something has suddenly changed? After all, we have been told by journalists recently that conservatives have recently begun to distrust American higher education. Last summer, poll results seemed to suggest as much. In fact, though, as we’ve argued before in these pages, it is not college itself that conservatives have come to distrust. Dreher and his associates will surely lose their campaign to warn people away from college as a whole. How do we know? In this case, we can borrow a page from Sherlock Holmes and listen to the dog that didn’t bark. True, conservative intellectuals might feel chagrined at their loss of influence in elite universities. Also true, the American public is very willing to believe that silly, leftist things go on in elite colleges. But Americans still want to go. They want their kids to go. And they think people who do go are smart and competent. Exhibit A: The 2016 presidential campaign of Wisconsin Governor Scott Walker. As journalists noted at the time, Walker was a college drop out. If there really were a widespread, popular disaffection with American higher education, we would have heard him brag about that. We didn’t. A couple of conservative voices tried to defend Walker’s lack of a degree, but they didn’t say Walker hated college. Rather, they said he had learned from the school of hard knocks instead. Walker himself bragged that he was a “fighter” who learned from experience instead of in a classroom, but he didn’t pooh-pooh the idea of college as a whole. If nothing else, Governor Walker is a savvy and successful politician. If he thought he could derive political advantage from his drop-out status, he surely would. But Walker is too savvy for that. He knows—even if Rod Dreher doesn’t—that Americans still love higher education. Americans—even conservative Americans—haven’t turned their back on elite colleges. Americans still dream of sending their kids to Yale or Brown or Oberlin, even if they fret about the ideological goings-on. The “crisis” hasn’t suddenly boiled over in the past year or so. Rather, it is a steady simmering state and has been for a long time now. Even conservatives love and cherish elite universities. If they didn’t, after all, they wouldn’t spend so much time anguishing over them. Yes, at this time, “higher education” is not just useless anymore, but it’s now actually doing harm. Even Lefties largely accept that, though they blame everything and anything other than the fact that “higher education” in more cases than not does not have a positive ROI for those seeking and attaining it, e.g., crushing student debt combined with few “decent” job opportunities. But, you’re right in some bits of timing. This has been a growing problem since at least 1980s when the “liberal arts” BA’s became so common and low-end customer service jobs started require a “degree” to be considered for hire.